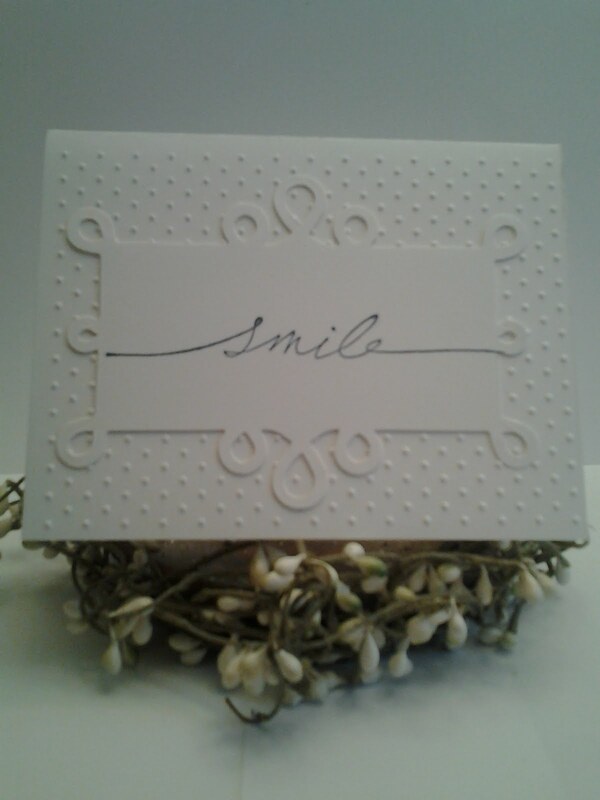 This is a white-on-white card that I knocked out last night. It like the simplicity of it. Supplies: SU cardstock: white, Sizzix die, SU stamp (Smile - can't remember the name of the set), Swiss Dot embossing folder, Cuttlebug, Ink: SU - Not So Navy Enjoy! Hi Tammy! Looks like you have a very new blog - how exciting! I wanted to thank you for your nice comment on my Splitcoast Stampers card (and I don't know how to reply directly to you on SCS...lol). Thanks for taking the time to comment! I've signed up to be your first follower - woo hoo! 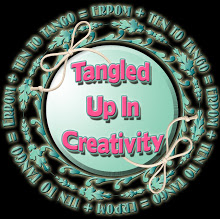 I'd love for you to follow my blog, as well - I'm at: cherisheachpreciousday dot blogspot dot com Thanks again! Thanks Patti for being my "first!" I just signed in to follow your blog as well. You really think I should enter it? Is that on SCS or some other site? I may take you up on it!